MACOMB, IL – The Western Illinois University Communication Student Society (CSS) will hold a fundraiser from 8 a.m.- 4 p.m. Wednesday-Thursday, Feb. 13-14 in the lobby of Memorial Hall, just in time for Valentine's Day. They will be selling hand-dipped chocolate covered strawberries and pretzels. 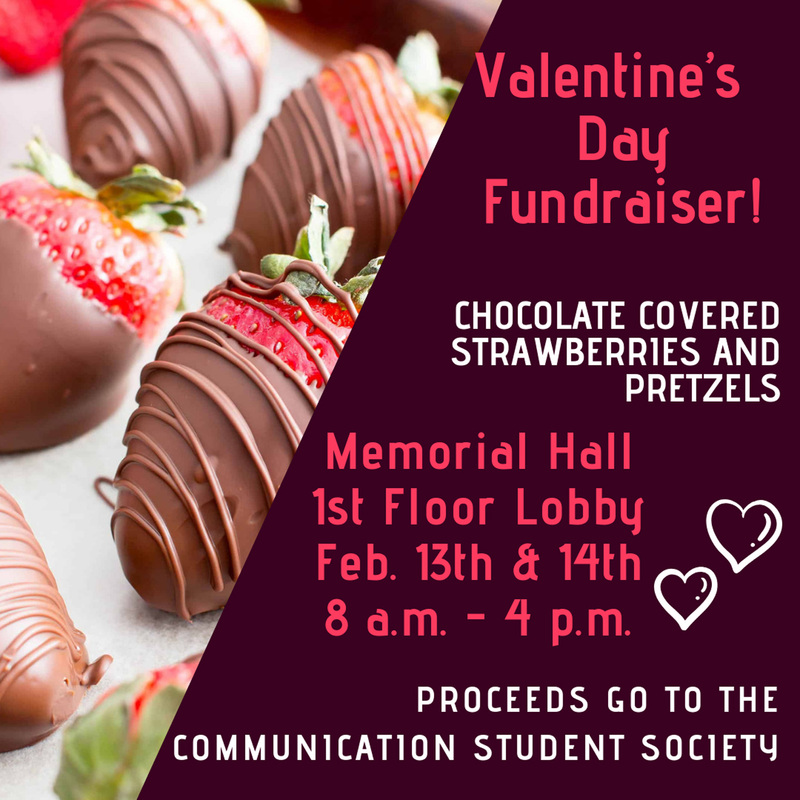 Stop by to get your Valentine a sweet treat and help CSS raise money to benefit the students of the communication department. CSS will also be holding a Valentine's Day party at 3:30 p.m. on Monday, Feb. 11, where they will be creating crafts to help the local nursing homes celebrate the holiday. CSS is a student-run organization that helps create opportunities for academic, professional and personal growth for students in the WIU Department of Communication. More information about the organization can be found by emailing faculty advisor, Stacey Macchi at SM-Macchi@wiu.edu.